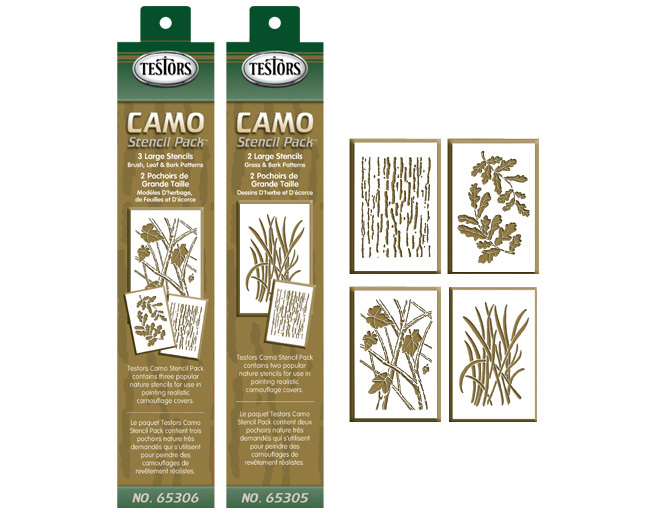 Package designs were created for 4 Testor's Camo Stencil Packs. The design coordinates with the client's existing Camo product packaging line. Product is being sold in sporting goods stores.